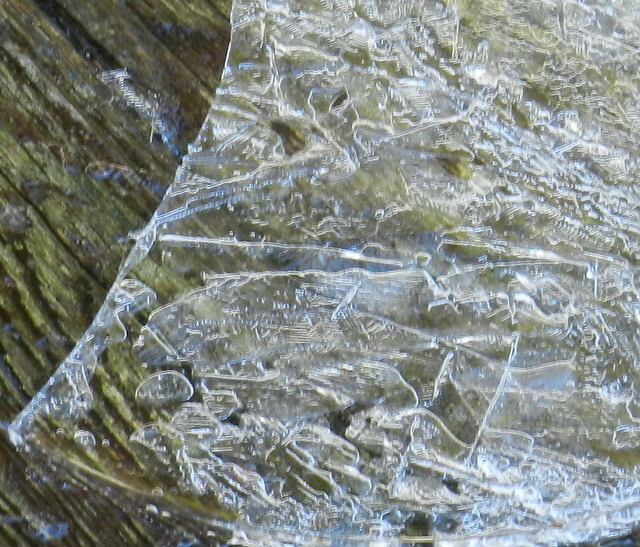 I always enjoy photographing ice that I remove from the bird baths in cold weather. We still have a lot of fall color but it's changing very fast and lots of leaves have dropped. I'm going backwards through this past week with the first shots being weekend ones and the end of the post is earlier in the week. 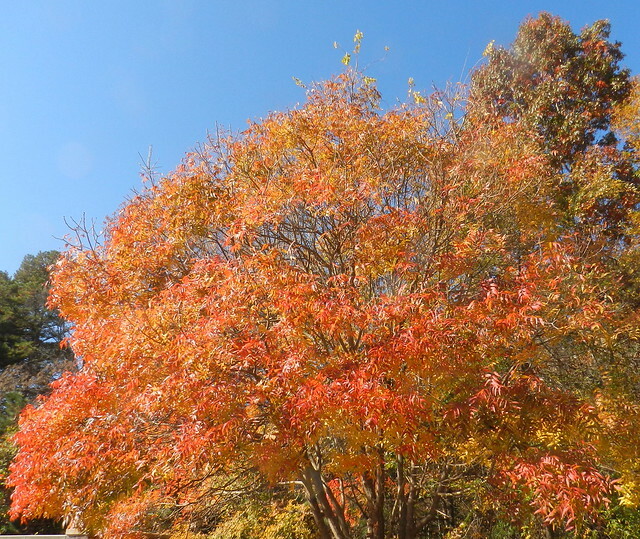 Our fall color is always protracted with the earliest leaves changing months before the last one in central NC where I live. 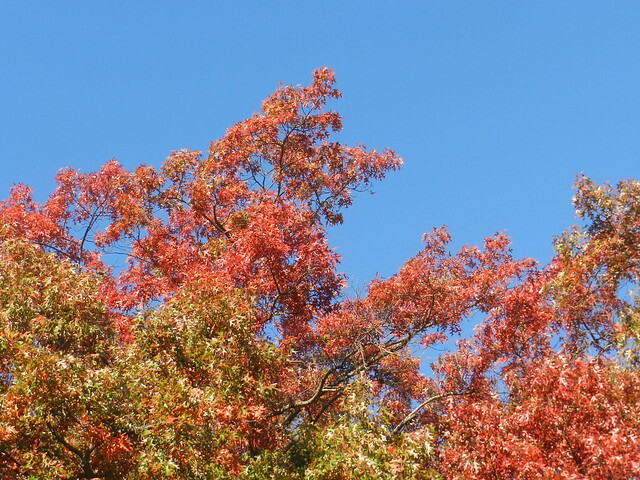 By the time my oak trees (shot below) change colors it is usually late fall and they don't last long at all before dropping. I took the next shot in my driveway photographing above my neighbors roof tops across the street. I love the tree below which is around the corner from my house. The next tree is one I can see from my deck which is at a neighbor's house on the street parallel to mine. 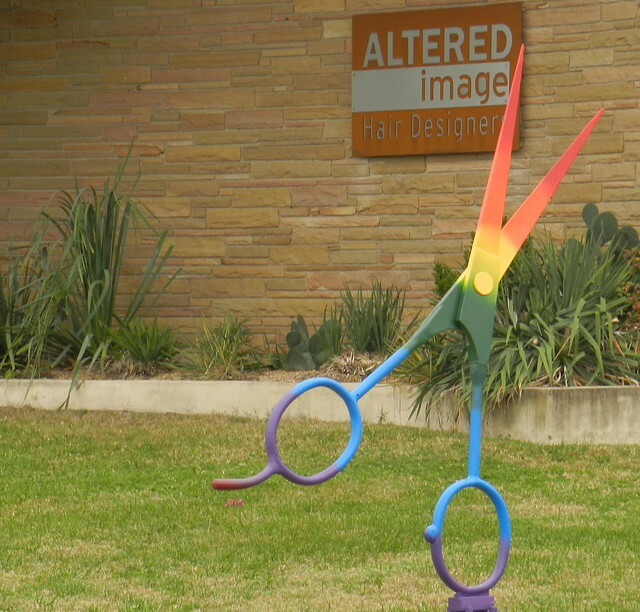 I spotted the hair stylist display on a break from work. 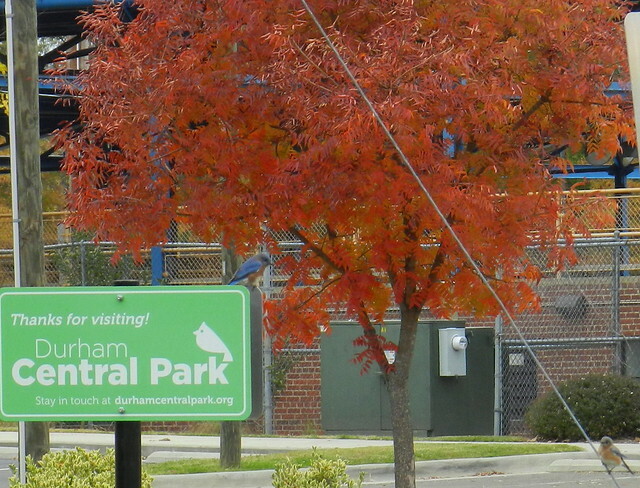 On another work break, I spotted the bluebirds calling to each other (one on the sign one in the bottom right corner). That looks like a possible nest from last spring below. 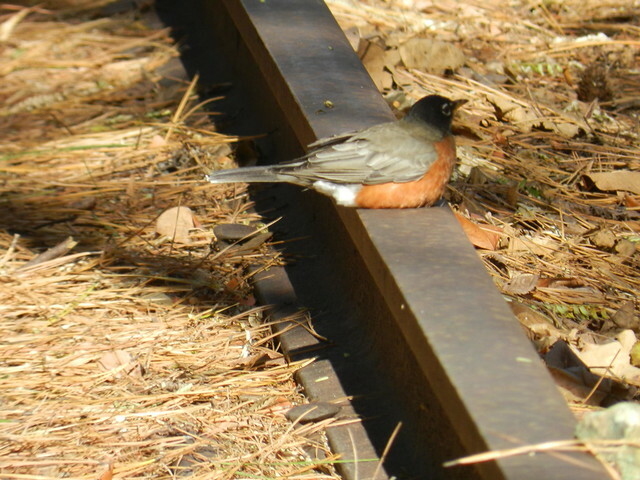 The American Robin was sunning on railroad tracks. We're starting to have bare trees which I love. Br, ice. Funny how sitting on a track makes the robin warmer. 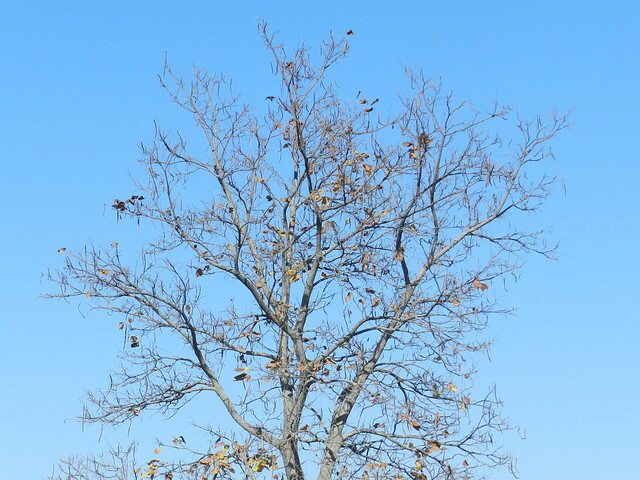 I like bare trees, too - easier to photograph birds! Stay warm. I can't get over the huge color displays of your trees...stunning...and ice we just got some here finally. Great series. Frozen ice looks so interesting. 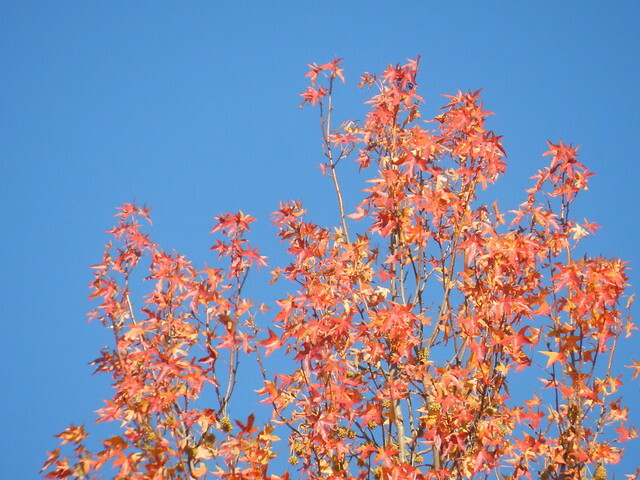 You have such intense beautiful colours in your part of the world, the leaves look stunning against the blue skies. So much gorgeous color, Carver!!! Thanks for sharing the beauty!! Hope you have a great week!! You have such beautiful trees close to where you live. Your world is wonderfully colorful. And you're lucky to have it for so long. 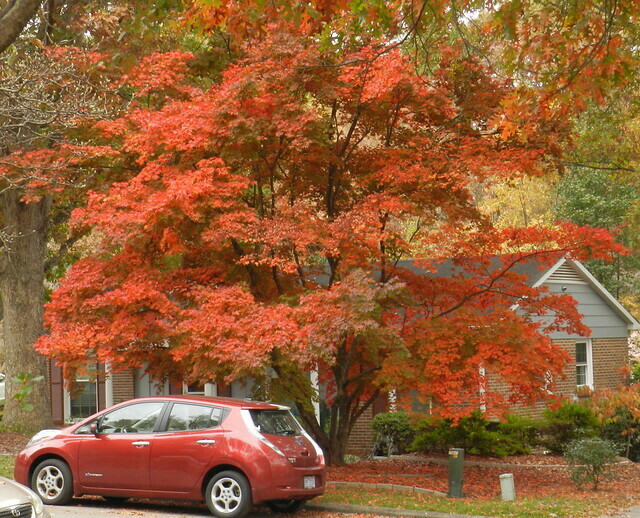 I was driving along a pretty street with red and yellow trees on Wednesday thinking I should pull off and snap some pictures, but I had a carful of old lady friends and thought I'd better not. Bill and I went back the same street on Sunday and every leaf had fallen. (We had a cold snap the end of the week.) So thanks for sharing your red leaves as my world doesn't have any. 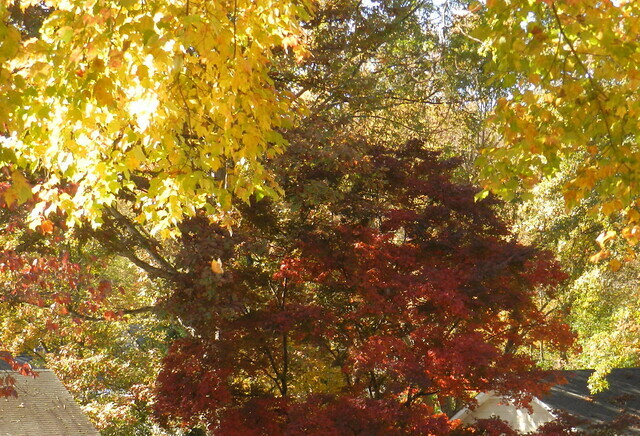 the fall colors in your area are something to behold. amaxing. you have ice already? lots of beautiful color. ours is all gone. 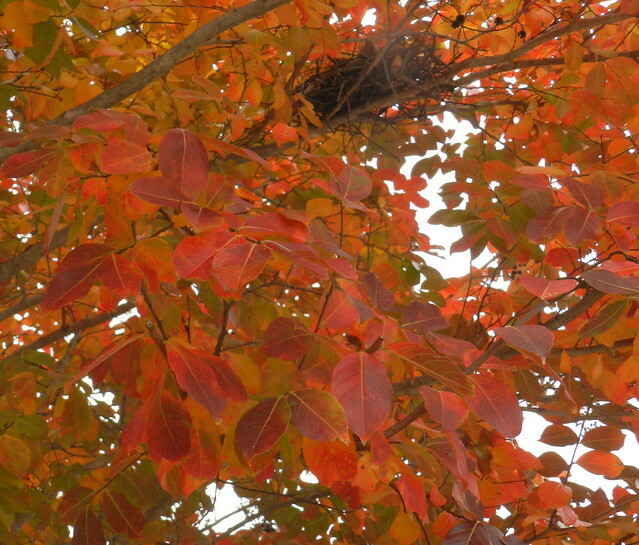 ooo - lovely fall foliage! I missed you and your beautiful blog. I missed your fantastic photos. Wonderful autumn. Can you show us the beauty of your wonderful country. 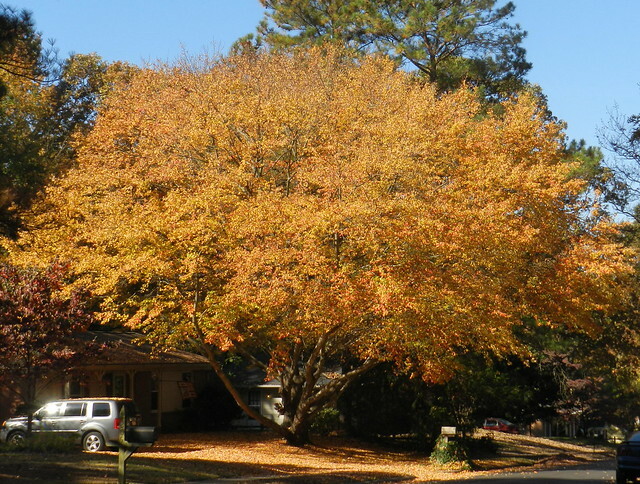 The trees are still so beautiful, Carver! But the bare limbs will be beautiful too. Beautiful Autumn shots. 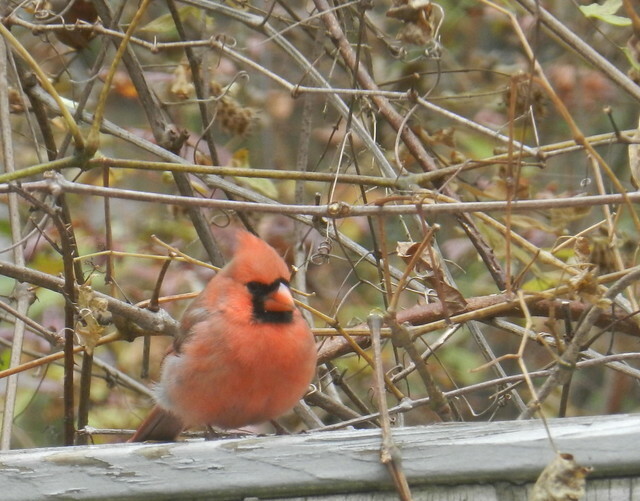 I love the cardinal and robin pics :) Here it is already icy and bare. Winter is arriving too soon. I have been dreaming to see those colors too, however all my trips abroad are either in the spring or summer, haha! I just content myself in photos in blogs, so thanks.